After an impressive rout against Nigeria, USA Basketball struggled to put away Lithuania in game 4. USA did not make as many 3 pointers as they did in the last game, nor did they have as many open shots. They struggled at the free throw line making 19 out of 31. This was a good test for the team as they come off a great performance. As most the nations participating in the Olympics, Lithuania has a few current or former NBA players including Linsa Kleiza who led them with 25 points. 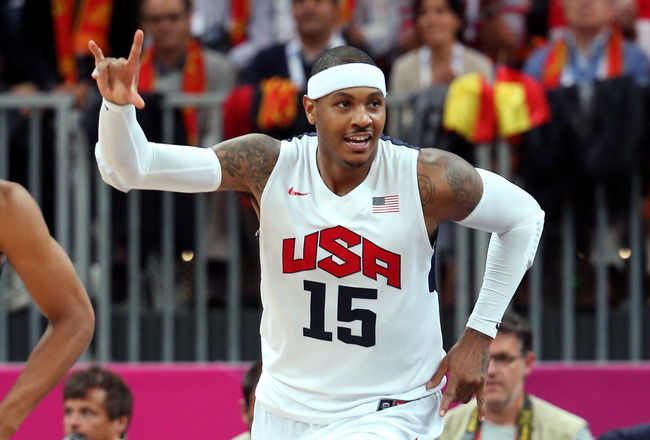 LeBron and Carmelo led USA with 20 points each. Chandler played 8 minutes and finished with 1 point, 1 rebound, and 1 block.